Bank of Luxemburg: Thank You, Bank of Luxemburg Customers! Thank You, Bank of Luxemburg Customers! As 2011 winds down and we spend the holidays with our families, we would like to thank our extended Bank of Luxemburg family -- you, our customers. This has been another tumultuous year for the largest U.S. financial institutions. Fortunately, Bank of Luxemburg – an independent community bank owned by local shareholders – has fared much better. That’s a testament to you and your trust and confidence in us. 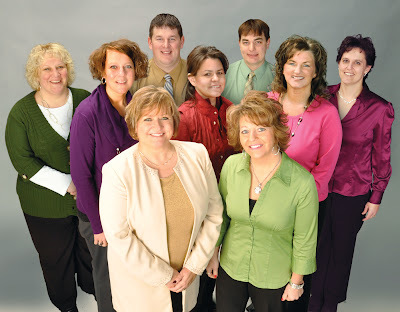 As a bank, we do well because people in Northeast Wisconsin have great ethics. When they borrow money, they pay it back. That is not true everywhere. It reflects on how we were raised. This financial moral conduct is rewarded because our customers understand the value of money and therefore will make better financial decisions. We are fortunate to have strong relationships in all the Northeast Wisconsin communities we serve. We appreciate those relationships and look forward to working with everyone in 2012 and beyond. All of us at Bank of Luxemburg send you and your loved ones the warmest wishes for this holiday season. Please let us know how we can serve you even better in 2012!